Will Congress release information it gets from Attorney General William Barr? The demands for complete transparency on Friday came quickly -- from Democrats and Republicans alike. "Now that Special Counsel Mueller has submitted his report to the Attorney General, it is imperative for Mr. Barr to make the full report public and provide its underlying documentation and findings to Congress. Attorney General Barr must not give President Trump, his lawyers or his staff any ‘sneak preview’ of Special Counsel Mueller's findings or evidence, and the White House must not be allowed to interfere in decisions about what parts of those findings or evidence are made public," said House Speaker Nancy Pelosi and Senate Minority Leader Chuck Schumer in a statement. 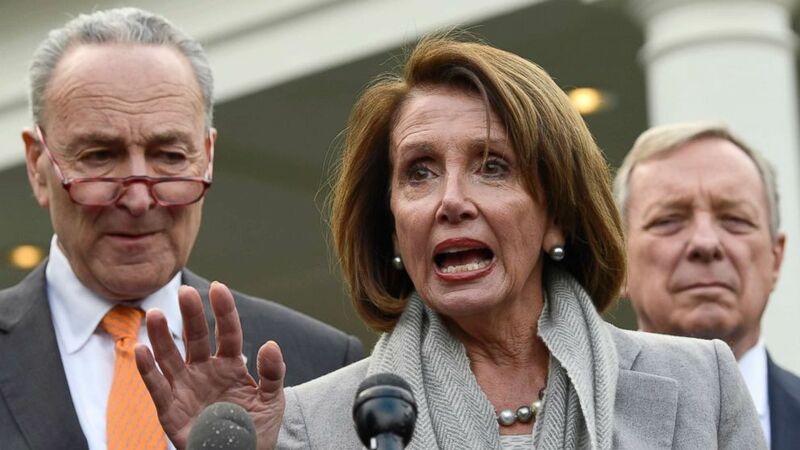 Pelosi will hold a Democratic conference call Saturday afternoon with House committee chairs to go over strategy for dealing with Mueller's findings and Barr's upcoming report as their investigations ramp up. 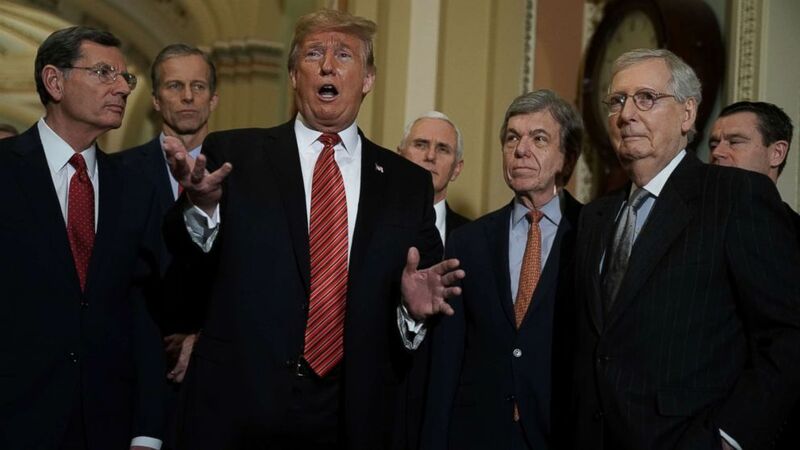 (Alex Wong/Getty Images, FILE) President Donald Trump speaks to members of the media as Sen. John Barrasso, Sen. John Thune, Vice President Mike Pence, Sen. Roy Blunt, Senate Majority Leader Sen. Mitch McConnell and Sen. Todd Young listen at the U.S. Capitol, Jan. 09, 2019 in Washington. "Full transparency. No waiting. Attorney General Barr must immediately provide Congress and the public with Mueller’s entire report and supporting material, not just his summary findings. The American people have a right to know everything," said Democratic Sen. Chris Van Hollen of Maryland. 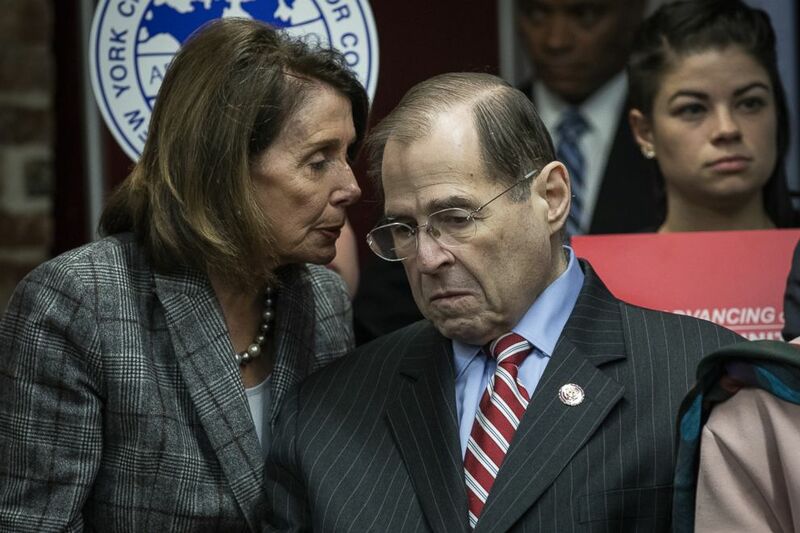 (Drew Angerer/Getty Images) Speaker of the House Nancy Pelosi (D-CA) speaks with House Judiciary Committee Chairman Rep. Jerrold Nadler (D-NY) during a press conference to discuss the American Dream and Promise Act at the Tenement Museum, March 20, 2019, in New York. "I fully expect the Justice Department to release the special counsel’s report to this committee and to the public without delay and to the maximum extent permitted by law," Collins said in a statement. ABC News' John Parkinson, Benjamin Siegel, Mariam Khan and Trish Turner contributed to this report.